Looking to buy this heavy duty saw stand? Read on for the stats and our review. Click to View the Deal! 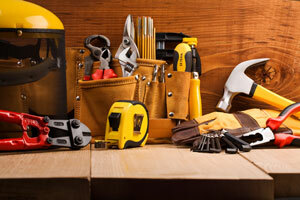 If you’re into woodworking, you know how important it is to have the proper equipment. More than anything else, you need to be able to achieve a certain level of precision. 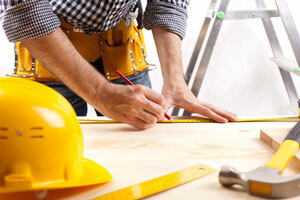 In order to do it, you need to work with well-designed and reliable tools. Saw stands don’t just make the work less tiresome for you. They have an added benefit of increasing the precision of every cut you make. 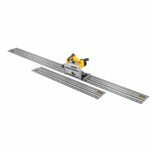 If you think you could use one, check out the reviews of one of the best available miter saw stands, DeWalt’s DWX723! 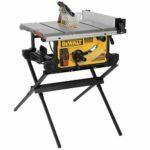 What are the benefits to using DeWalt DWX723 miter saw stand? The DWX723 model is made of high-quality aluminum, but weighs only 35 pounds. Its design makes it more compact than the majority of other saw stands. When fully extended, it’s 32 inches high and 150 inches wide. Even like this, it doesn’t take up much space, but you can easily fold it whenever it’s not in use. When folded, it’s only 6 inches high and 73 inches wide. This is what makes it the ideal choice for those who could benefit from owning a portable stand at a great price. With the DWX723, you’ll be able to do your work more efficiently. This is mostly due to its clever design. Just like most other models, this saw stand is equipped with brackets. What makes it special is the quick release feature. 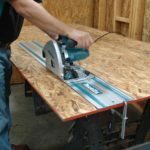 It allows you to position your miter saw wherever you want. Apart from this, they make it possible for you to have two saws on the rails at any given moment. The stops for the materials can be adjusted as well, making it easier for you to do different cuts. One of the biggest upsides to using the DWX723 is its incredibly large capacity. Although it’s a lightweight model, it can hold a lot of materials at once. Its maximum capacity is 500 pounds. 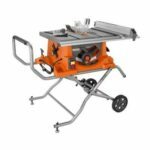 And if you’re worrying about the size of your materials, you can rest assured this saw stand won’t disappoint you. It’s equipped with a beam that’s 5.5 feet long, as well as some very useful extensions. Thanks to them, this model can easily support materials that are up to 16 feet long. 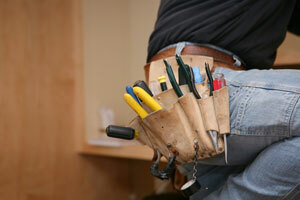 There’s no point in owning a great stand if you can’t use it with your tools. Fortunately, the DWX723 is a model that’s highly compatible with saws. It’s equipped with mounting brackets that boast a universal design. Thanks to them, you can pair this stand with almost any available miter saw. 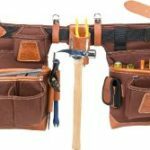 This will surely come in handy, especially if you’re a professional woodworker. Since you have to replace your tools every once in a while, you could benefit from a saw stand that doesn’t require upgrading. 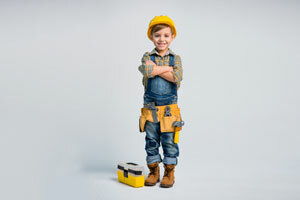 In order to do their jobs properly, woodworkers need sturdy equipment. Toughness and durability count among the many qualities of the DWX723 model. It’s made of heavy-duty aluminum, which makes it harder to break. To increase its resistance to damage, a couple of useful features are added to this saw stand. Extension lock levers serve as protection for the supporting extensions. 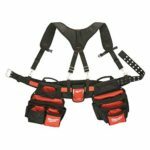 The tool mount is equipped with non-marring feet, the purpose of which is to prevent scratching. All of this makes the DWX723 a lot more resistant than the majority of other saw stands. For your money, this is the best deal on the Dewalt DWX723 at the time of publication. It’s a heavy duty, well-built stand for your miter saw, so if you want it and are looking for the best deal, click the button below! 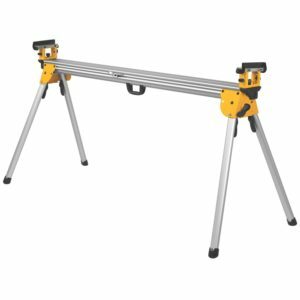 What are the downsides to using DeWalt DWX723 miter saw stand? When it comes to disadvantages, there’s not a lot to be said about the DWX723. Users rarely complain about it, and when they do, they usually talk about brackets. It seems that they are poorly designed compared to the rest of the saw stand. Also, they’re not as durable as they should be, which is probably due to some of the plastic parts. DeWalt’s DWX723 miter saw stand boasts very high ratings, and with good reason. 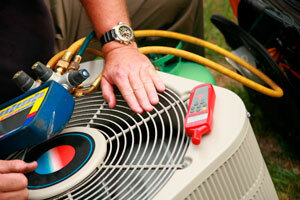 It’s a reliable product that’s capable of providing an impressive level of accuracy. Apart from that, it’s very easy to use and less prone to scratching. Since it’s incredibly lightweight, you won’t have trouble moving it from place to place. 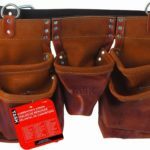 All in all, it’s a great product for amateurs and professionals alike. Get this miter saw stand for the best price online!